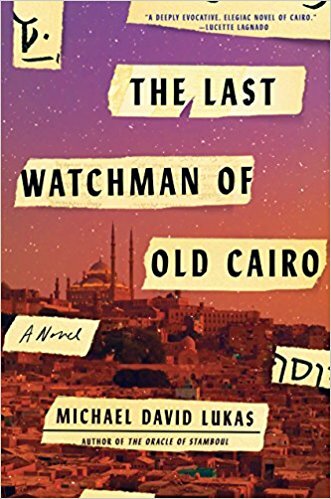 Join bestselling author and CMES Program Coordinator Michael David Lukas for a conversation about his new novel, The Last Watchman of Old Cairo, "a beautiful, richly textured novel" centered around a thousand-year old synagogue in Cairo. On Tuesday, April 3 at 8:00PM at the Freight and Salvage, UC Jazz will present its 50th Anniversary concert featuring its three advanced ensembles. 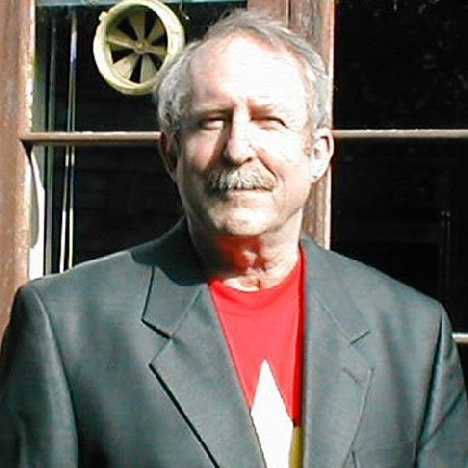 The event will celebrate 50 years of jazz education at Cal. 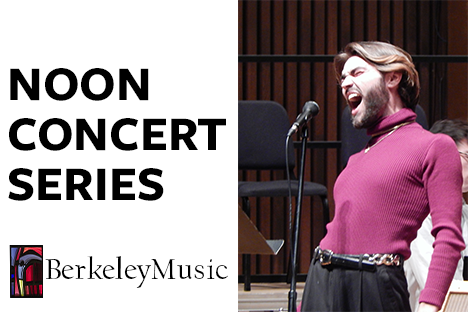 The UC Berkeley Department of Music will honor the 50-year mark of Martin Luther King Jr.s assassination on April 4, 2018 with performances by student carillonist Leslie Chan and the University Gospel Chorus directed by D. Mark Wilson. 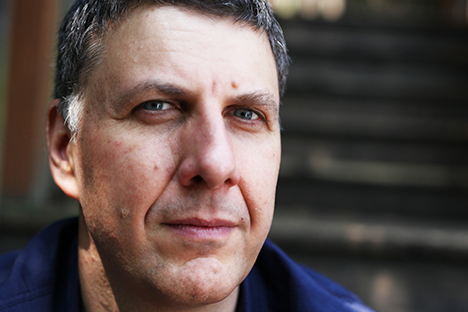 A poetry reading by Matthew Zapruder. RSVP info: RSVP by calling Front Desk at 510-642-4175, or by emailing Front Desk at womensfacultyclub@gmail.com by April 5. Oakland based pianist Anne Rainwater is a dexterous musician known for her vibrant interpretations of works from J.S. Bach to John Zorn. 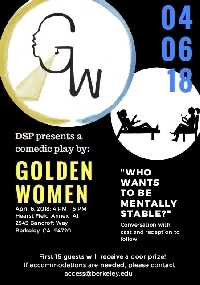 To celebrate Disability Awareness Month, Cal's very own all-female theater company, Golden Women, will be performing "Who Wants to be Mentally Stable?" A comedy about a woman struggling to find a therapist. A conversation about mental health and reception to follow after the performance. African Master Drummer C.K. 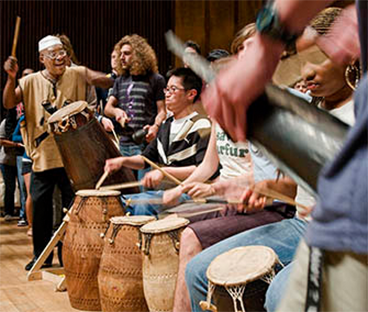 Ladzekpo leads companies in an evening of explosive traditional African music and dance.